Thanks to a great opportunity by Piotr Koris of GRAmel, you will be seeing more reviews of their products in the next few weeks. 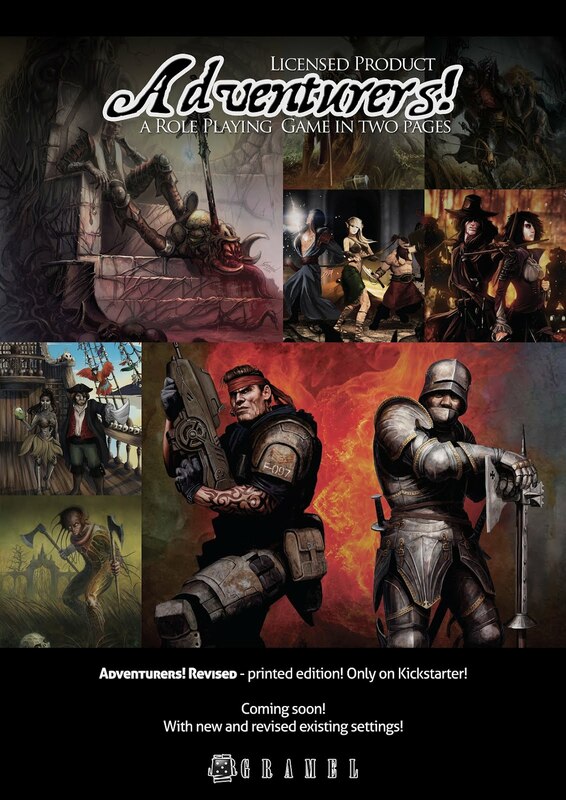 Additionally, Piotr is allowing me to spread the word about their upcoming Adventurers! 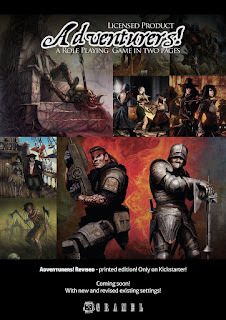 Kickstarter, which will be launching in October. The coolest part? I'll get to do a review of a preview copy of the game sometime around it's launch. I've enjoyed all of the GRAmel products I've picked up, Beasts and Barbarians, Adventurers, and of course Rifles of Atlantis and Terror Planet of the Amazon Queen. I'm very excited to look at more of their line and sharing my thoughts with all of you.